Choose a bad one and you’re stuck with it for life. Avoid the temptation to have a friend, relative or amateur, make the video. 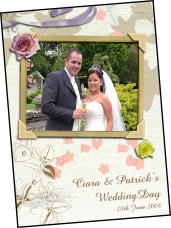 As with other aspects of a wedding, the services of a professional, are essential. developed the way in which most wedding videos are produced today. Often copied ... never equalled. Indeed it has come to our attention that other , so called videographers, use our video productions as a guideline for their ‘productions�? While we have video recorded products and services countrywide, the wedding industry has been our primary focus. 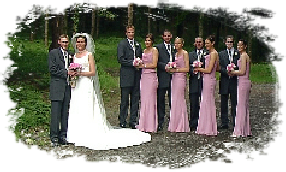 We have video recorded hundreds of beautiful weddings and events over the years. Our company objective for every wedding or event is to gather all the emotion, celebration, and tradition of your special day and edit it into what will become a family heirloom. Don’t be fooled ...All Wedding Videos Are Not The Same !!! Not only are we experienced, professional and unobtrusive, but also our state-of-the-art digital editing facilities, and our steady camera work, will produce a finished product of the highest quality. Filming is done using the latest broadcast standard, Hi-Definition digital video cameras. This means your wedding will be captured flawlessly, in perfect colour and sharp focus. A vast array of complex effects, filters and transitions are available. a feature often overlooked in wedding videos. A special ending is added to make a very personal ending to your wedding video. Filters available include sepia, soft focus, black & white, and slow motion. Don’t settle for anything less ! Our presence on the day is very friendly and unobtrusive and is done with sensitivity, creativity and technique which allows for natural shots. Your finished video, having been creatively filmed will then be stylishly edited with your choice of music. All additional copies will be a direct copy of the digitally edited master. Today you can receive your wedding memories on either DVD, Blu-Ray or even VHS. Being Digital, DVD offers superior viewing, convenience, and longevity. 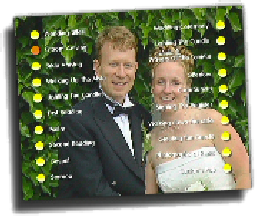 Unlike others, our DVD’s are setup with menu buttons which are set to key points throughout your DVD. When your wedding is on a DVD, there is no need for rewinding. Moving forwards or backwards on DVD is done instantly at the touch of a button. With our exclusive and personalised menu setup you’re able to select exactly what you want to see. View all the rest, then insist on the best. Video styles and quality can vary tremendously. In order to make an informed decision about the distinguishing differences, it is best to see actual samples of work produced. 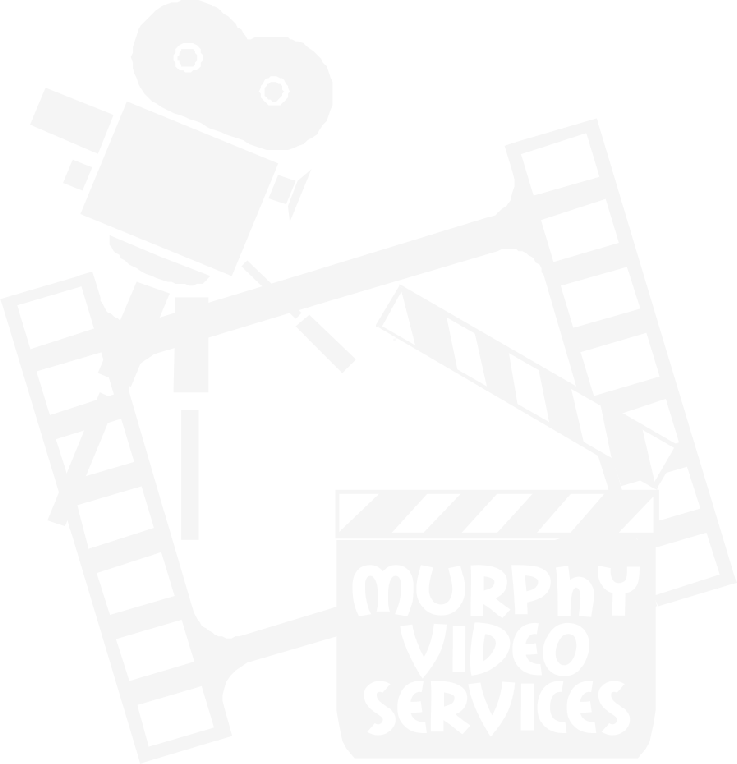 With this in mind, Murphy Video Services invite you to come along and view one of our digital wedding video productions, just to see what is available, before you commit yourself to a video that you’ll be ashamed of, or worse still, no video at all. We have always invested in top of the range professional equipment to stay ahead of the competition. everything you need to produce the film that creates such a lasting memory which will gain in value as the years pass. Just like professional photography, pricing for professional videography varies widely. Talent, technology and time are three key factors which will affect the pricing of your video. and help you organise your special day. and a unique wedding video tape case. All copies of your wedding day include a similar video cover to the one shown . As with some others, it’s not an optional extra. Our wedding productions, includes the highlights of up to ½ hour of dancing on your big day. For an extra fee we can stay on later and film the party as it goes into overdrive.